Mehul Adatia took five wickets. Market Deeping won their relegation dogfight in the Lincs Premier Division yesterday (August 25). Alford were the visitors to Outgang Road and were well beaten by five wickets. Alford batted first and were skittled for 114 in 33 overs with Mehul Adatia taking 5-23. Deeping reached 116-5 in the 28th over with the biggest contributions 40 not out from Dave Sargeant and 42 from Sachithra Perera. 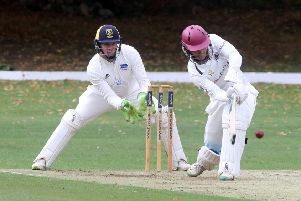 Bourne lost their mid-table tussle at Lincoln Lindum by two wickets. They were struggling at 70-7 at one stage but a late blast from Matthew Kidd (37) and Tom Dixon (38) saw them reach 166 before the last wicket fell in the 48th over. Lincoln got to 167-8 in 47.1 overs with Dixon taking 4-31 and Kidd 3-48.